Thank you, I don't mind one bit, in fact, I am honoured. That was a great reading of Lovecraft, I know that author's work is very difficult to read out loud without messing up too many times. The audio you added worked perfectly as well. Dagon was also the first Lovecraft story I've read. 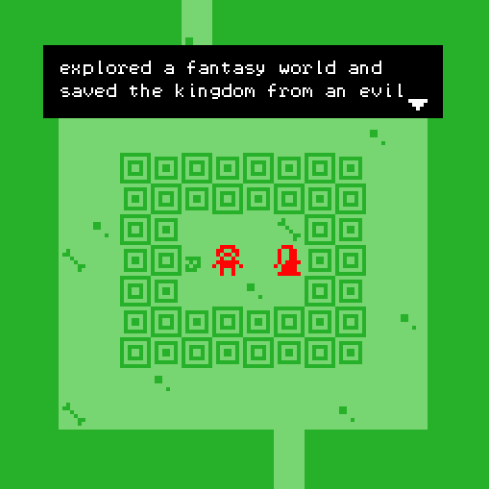 Really wonderful little experience, and a very creative way of using the limited Bitsy game engine. I enjoyed it. The visuals and animations are great. I really enjoy that the main scene changes throughout the story and use different color palettes to set different tones on the same scene. I think you should add collision boundaries on a lot of the tiles though because walking through walls inside the lighthouse and also walking to the clouds and moon, etc - does break the experience a bit for me. 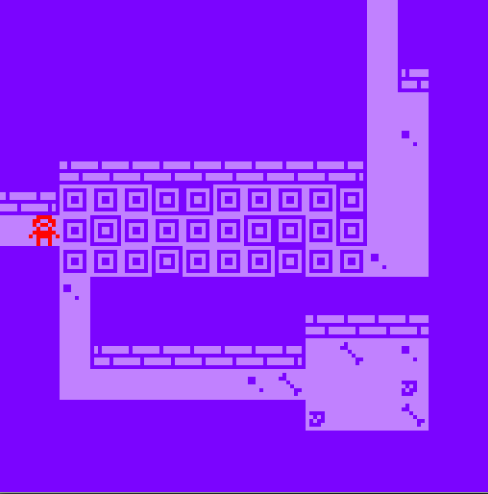 Great concept and graphics for a Bitsy game. I really enjoyed it. Great job! You've made an instant classic! Thanks for doing a Linux version. Ah cool, I was wondering why it was tagged Pico-8. That's cool you made a game with that palette! I've really enjoyed this game. I have been going back to it on and off since it was first released. You did an amazing job! Great game! Pretty darn fun and unique. I like the use of the jam's theme (memories) For a prototype, it seems to be quite bug free and polished. My First Game Jam: Winter 2018 community · Replied to fleece in [Devlog] Travelling with N.
Finally finished the game, I play-tested it, fixed graphical errors, grammar errors (I'm sure there are loads I've missed), added some more in game text, and etc. I had lots of problems figuring out how to upload the darn thing as a jam game. :-) Anyways, it's uploaded now for anyone who wants to give it a play! My First Game Jam: Winter 2018 community · Replied to J in [Dev Log] this is the end. Today has mainly been polishing to the game. I've playtested several the areas and have fixed some design errors. Grammar errors have been fixed. All of the areas in the game have been linked together and most of the rooms are fully functional, save for a few rooms towards the end of the game. I added a couple more items to trigger memories and have a rough draft of the ending which ties all of your memories together. I've also made some new tiles to add some more graphical variation to the game. Awesome job with the jam. It was such a strange experience... I loved it! Sounds like it's really shaping into a playable game. Looks like fun! Awesome! Great you are learning new things. Have you thought out any story yet? I'm eager to see how this project unfolds. Good luck with the jam! I've also written some descriptions of what you see, experience, etc. I think it will add a lot of life to the otherwise plain, drab rooms. Ahead of you lies strange decorative floor tiles, they seem to shift as you stare at them. Slight clicking noises emit from underneath the tiles. As you pick up the cast you remember the time when you were climbing in a tree. Your foot took to some moss and slipped. The next thing you remember was a sharp pain in your arm… this device allowed your broken bone to heal without disturbance. You feel an itching, sweating sensation on your arm as you think of how long it seemed to be waiting for the cast to be removed. Congratulations on finishing your jam game! Cool little functional game, I actually never heard of clicker games before. Sounds awesome! I will look forward to your entry for the jam. I am a really big fan of MegaMan's platforming mechanics, good to see that's given you some inspiration. The 3D artwork looks beautiful! I wish you the best of luck with your project. Good luck with the jam. The artwork you've shown us looks great and the idea sounds very promising. I'll make sure to check this game out! My First Game Jam: Winter 2018 community · Replied to aliengeometries in [Dev Log] this is the end. Thanks! I was thinking of having mazes, puzzles, etc. Towards the end of the game I decided to have an area where you stumble around in the dark avoiding traps. My First Game Jam: Winter 2018 community · Replied to fleece in [Dev Log] this is the end. My First Game Jam: Winter 2018 community · Created a new topic [Dev Log] this is the end. Hey fellow jammers, I've started working on my game... 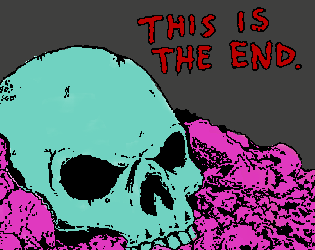 I decided to title it 'this is the end.' So far I have scribbled down some ideas and I am starting to work on them. I have the basic idea that you are exploring some sort of afterlife in a castle. You collect objects that remind you of your lifetime (memories). Not the best idea, but that's okay with me. I am using Bitsy to make the game, honestly, I think if I used anything any more complex, I would set myself up to fail.